I love carbon fiber. Period. I mean if carbon fiber were a woman I’d date her..it..her-it, whatever you get the point. 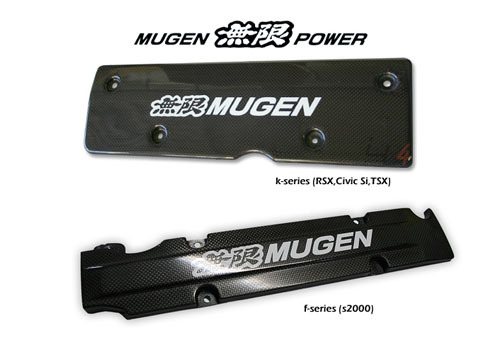 So if you’re a carbon-phile and also happen to be a JDM/Honda fan boy you’re probably soiling yourself over the sight of this Mugen carbon fiber spark plug cover. You’re covered if you have a K-series motor or if you sport the S2000 F-series engine. Enough said? Ok well clean yourself up and hit up Inline Four.